New panel closed of fiber carbon 100% with 8 Buttons, 2 rotary encoders with push button of Leo Bodnar (CTS288V) and 2 Magnetic Paddle Shifters. Compatible with rims from 300 mm to 350 mm (70mm bolt pattern wheel). Internal electronic connections with custom PCB design. Own developed firmware designed to avoid EMI’s. 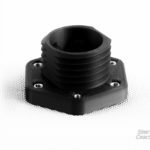 Compatible with OSW and Thrustmaster Base with these adapters: Qr SRC Aluminium Black y Thrustmaster Adapter. Panel closed of fiber carbon 100%. 8 Push Buttons (Different colors). 2 Magnetic Shifters with paddles of Carbon fiber. 2 rotary encoders with push button CTS288V. Usb helical Ccable and Usb extension cable. 6 screws M5x60 mm. 6 washers M5. 6 nuts M5. These shifters are very crisp and feel great, and the big dials are easy to find in VR. Even though I bought this second hand, when I was having a problem with the panel, Carlos spent A TON of time diagnosing the problem via email and screenshare and ultimately having me send back to him for warranty repair, which was covered. Awesome product and awesome-r service. Bought a couple of button boxes and QR adaptors, (which I\’ve attached to 100 mm extenders), for OSW mounting and all are quality items with a really high standard of finish. 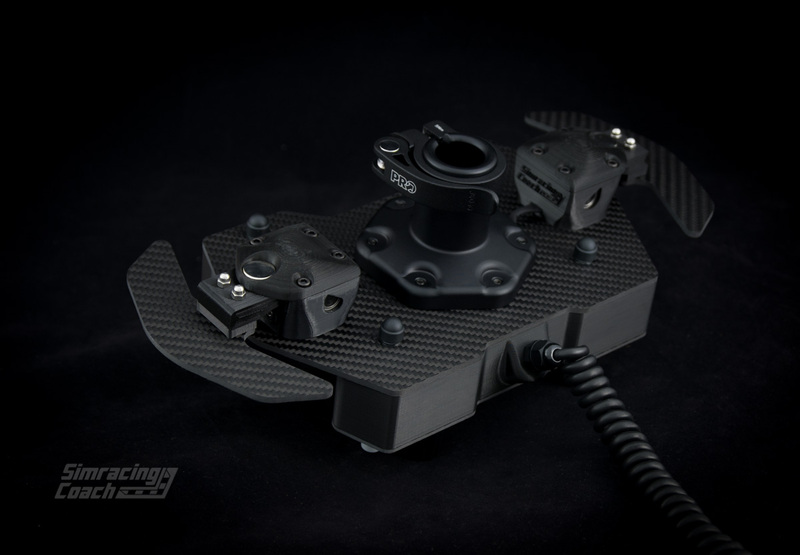 Shifter positions on the button boxes are nicely adjustable and the panels marry up perfectly to my 320 mm Momo & 310 mm OMP rims with decent clearance for thumbs. The QR adaptors are brilliant, solidly made and quick and easy to use. All products represent fantastic value for money in my opinion. Carlos was also great to deal with, quick to answer any questions and I received everything a few days after stock became available and only a week or so after ordering. Brilliant service. In fact I\’m so impressed I\’ve just placed an order for a third set! Pues vuelvo a comentar el producto….Después de algo mas de un año y medio de uso, me reafirmo en lo comentado anteriormente en cuanto al acabado y funcionamiento del producto. Ni un pero. Perfecto! Pero quería hacer constar el excelente trato post venta dado por Carlos. Me puse en contacto con el hace unos días por un problema que tuve por culpa de mis manazas, que soy \”mu torpe\” y me cargue un pulsador de un golpetazo y yo no soy muy diestro en reparar cosas, yo soy mas de romperlas y a los echos me remito XD. Carlos se ofreció a solucionarmelo al momento y en 2 días, como si no hubiese pasado nada. I think this has to be the best bang for the buck out there. Very well built, and no shortage of buttons. Even has 2 very handy rotating encoderys. 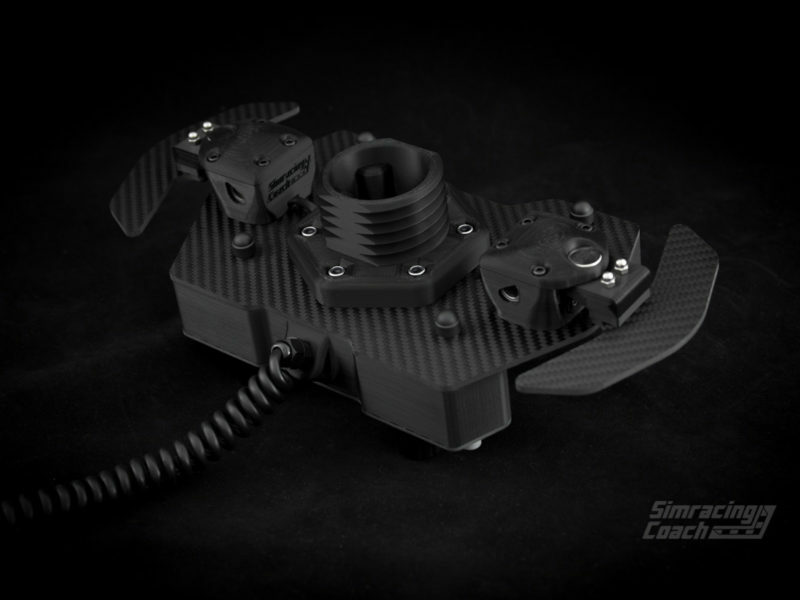 Shift paddles have a very nice click to them, and are off course magnetic. I have 0 negative things about this product. I hope SRC develops a box for smaller formula wheels some day. Wheels the likes of Mono mod 27…. Hoy me ha llegado este fantástico accesorio, decir que me ha impresionado nada mas sacarlo de su cuidadoso paquete, se nota la calidad tan solo lo coges en la mano y el acabado es excepcional, espectacular lo bien que esta trabajado y además echo con mucho gusto, también quería destacar la atención de Carlos por su respuesta y rapidez en el envío. 100×100 recomendable. il tocco è perfetto e gli switch di qualità è un ottimo prodotto che mi sento di consigliare dal costo contenuto e dalle ottime prestazioni. Excellent HUB, de très bonne qualité. Les Shifters sont parfais, les finitions nickel. Vendeur très sérieux et qui communique rapidement. Reçu dans les temps, dans un colis très bien emballé. Grand merci à Carlos, et longue vie à sa petite entreprise. Vraiment du trés beau travail, livraison rapide, emballage trés soigné, je recommande! Recibido y encantado con la compra. Tanto el acabado como la sensación en las manos es increíble. El tacto de los pulsadores y de las levas es sublime, te da la sensación de tener algo serio entre las manos. Muy ligero, pero se nota robusto de narices. El producto visualmente gana mucho en persona, es una preciosidad la verdad. Los acabados muy trabajados y detallados. Y posibilidad de elegir la combinación de colores para los pulsadores que mas te guste. En cuanto al servicio prestado por Carlos, pues perfecto y el envió muy rápido. EL producto llega embalado cuidadosamente sin que peligre en el transporte. Very solid equipment, mounted it on an OMP rim for use with the OSW. Build quality is excellent, shifters feel great (huge difference from my old T300 rim!). 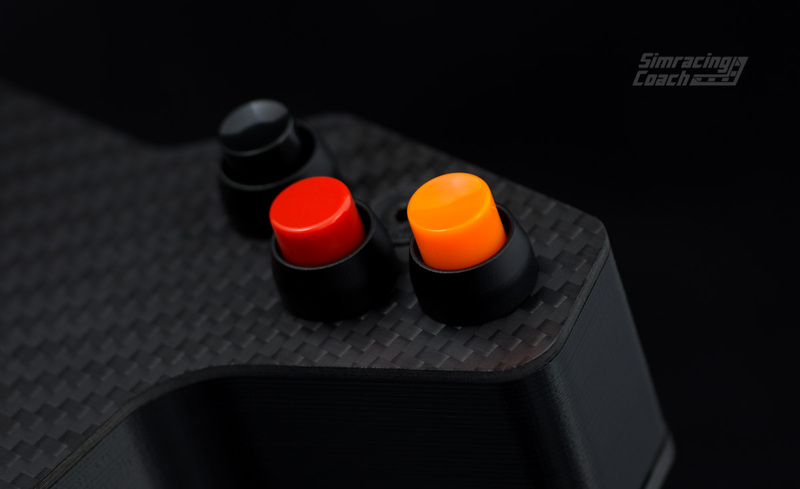 All the buttons have a good tactile feel to them which is great since I race in VR. Had a small EMI issue with my OSW still but fixed that with some grounding. Everything was plug & play for me and worked great out of the box, detected in windows as a game controller. Good communication and support as well from Carlos! 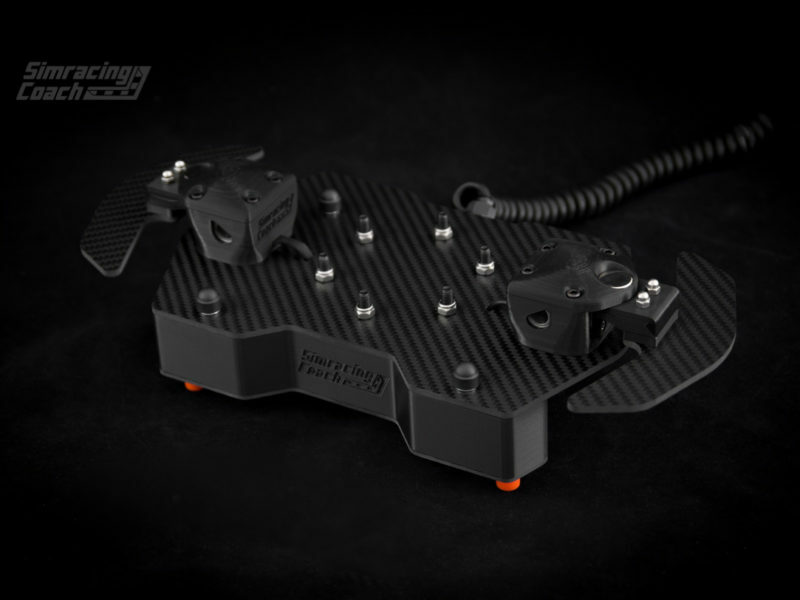 I got one of these (along with my Kit Augury 30NM) for use with an OMP Trecento 30cm Urethane wheel rim. 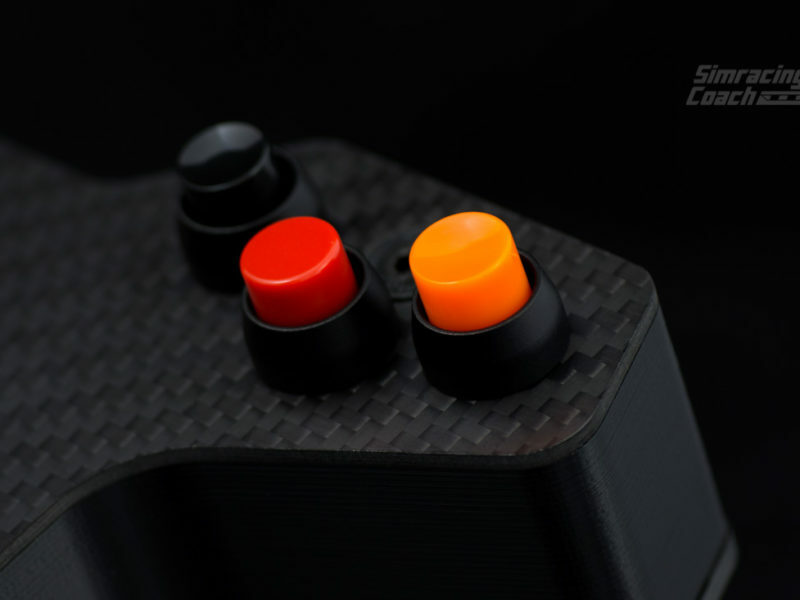 The front and back of the enclosure are attractively covered with replica carbon-fiber decals (3M Di-Noc or similar) and parts of the magnetic paddle shifters are high-quality 3D-printed parts which appear highly durable. Buttons and rotary encoders high-quality components as well. My wheel rim\’s top two spokes come very close to the red pushbuttons but do not interfere with them. The Panel of Buttons and Paddle Shifters was immediately recognized by Windows 10 and was easily configured in iRacing. Attention to detail and overall quality and feel are outstanding, making this accessory an exceptional value considering its modest price. If you are looking for a simple and relatively inexpensive way to add functionality to your simulation setup without spending way more for a custom wheel, you can\’t go wrong putting one of these between your steering wheel and motor. Highly recommended. El panel tiene un tacto y acabados muy profesionales. Es robusto nada mas verlo y al cogerlo es pesado. No es un juguete. Además incluye dos ruedas, tiene bastantes botones para poder ajustar de todo, y su tacto me gusta mucho. Las levas es mas de lo mismo, magnífico tacto y robustez. Es de agradecer la atención de Carlos, yo valoro mucho éste aspecto y con total seguridad recomiendo la compra si te haces con el OSW. Increible el tacto de las levas como de los botones. La atención de CARLOS perfecta. Hoy me ha llegado el volante,es impresionante los acabados y los materiales utilizados,se nota que todo es de mucha calidad,y sobretodo lo mas importante es el trabajo tan profesional que denota todo el conjunto, asi como la rapidez de envío. recomendable 100%,y trato inmejorable. He añadido este panel a mi volante y ha quedado genial parece un volante de competición real. Los botones y rotarys tienen un acabado premium. Como siempre Carlos con una gran comunicación para disipar todo tipo de dudas. Así da gusto hacer negocios. A big Thanks to Carlos and everyone at SRC. I recieved my P. O. B (panel of buttons) on time, packaged well, and without any problems to my home in Australia. It looks awesome, it is well finished and the buttons, rotary knobs, and shifters feel great. I have been testing and using my P.O.B for about 2 weeks now, and i am very happy with the way it performs. I have 2 other OSW wheels which cost considerably more and in comparison, the SRC P.O.B represents excellent value for money in both looks and functionality. The buttons have a good \”click\” feel when pressed and Carlos also color coded them to my specific color request. The Rotary buttons also have a nice \”notch\” feel when turned. I race with VR so being able to feel the buttons is important to me. The button layout makes it easy to identify their location and the slightly larger rotary dials are easy to locate and use. The magnetic padel shifters also have a good \”click\” feel to them. The padels are a good size, and they are adjustable. If desired, you can increase the resistance by adding extra round magnets to the back of the shifters. (cheap from e-bay 10mm round magnets). 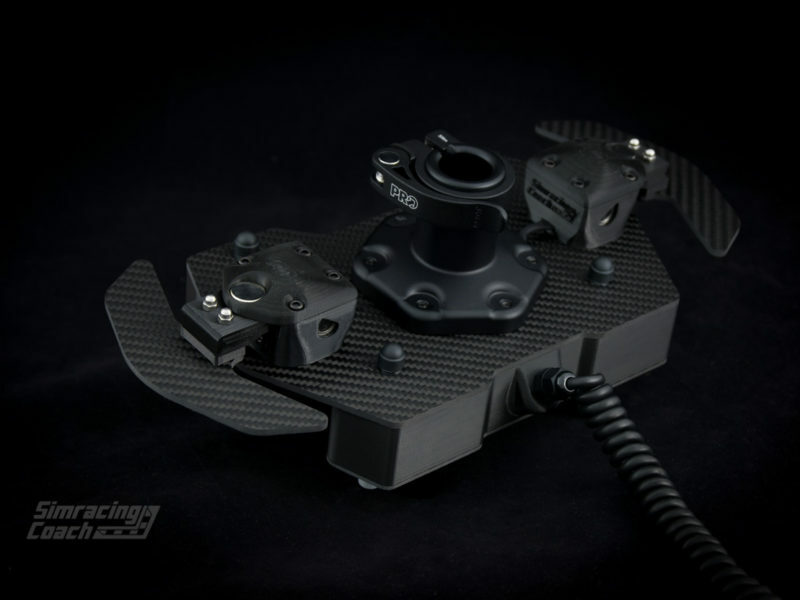 There is a small amount of flex in the shifters however you will never need to press that hard to engage a shift and it is not noticable when racing. Carlos was great to deal with. He answered all my questions, kept all his promises and always responded quickly to my communications via email. 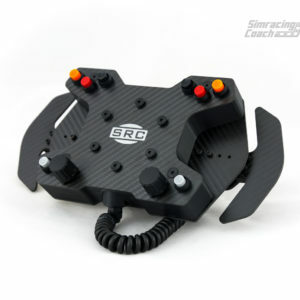 The SRC P.O.B is a fantastic product at a very reasonable price. I am very happy with my SRC P.O.B. 100% recommended. 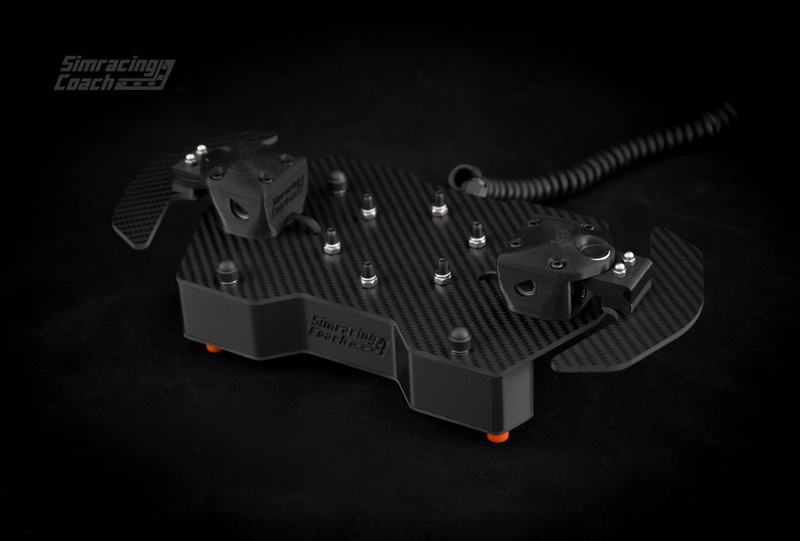 This paddleshifter and button panel is perfect for my needs. Shifters are smooth with nice feeling from the magnets when you shift and buttons are of good quality with nice click when you press. This kit is very well built and I know it will serve me well for many years. I don\’t think you can get anything better at this price on the market, if you are thinking about this item just go for it you wont regret it. and last but not least the customer service is great and my kit arrived sooner than expected. 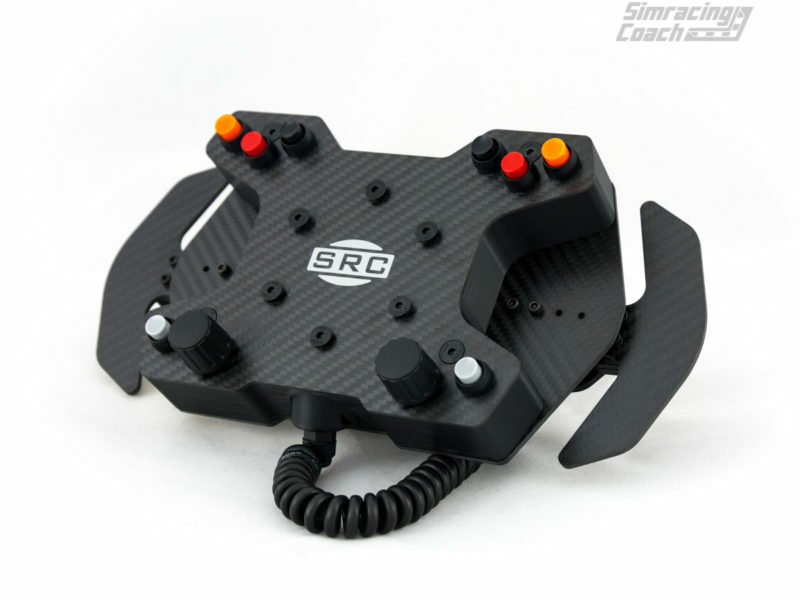 Thanks SimRacingCoach for a great product at a great price. Una vez lo recibes, ves que no es un juguete ni un joystick molón. Las levas, botones y en mi caso, los rotaries, son de muy alta calidad y dan un “click” muy positivo. Es muy robusto y podría perfectamente usarse en un coche de competición. Gracias Carlos por un gran trabajo. He recibido el kit de levas con los botones y el acabado es sensacional, tienes la sensación de tener entre las manos un excelente producto. Tiene un acabado en carbono impecable y una robustez fuera de dudas. El funcionamiento es más q correcto, muy cómodo los botones y las levas. Lo recomiendo y el servicio de Carlos a la altura de las mejores tiendas, asesoramiento personalizado y trato execelente. Ayer monté el nuevo panel de 10 botones con el aro y la verdad que me ha encantado, sobre todo las levas magnéticas es lo que más diferencia he notado, y eso que no son las de Martin-ascher. Another superb product with style and top notch quality. Arrived safely, well packed and secured, all the way to Australia. 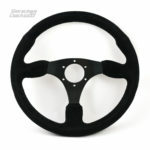 Used on a MOMO Monte Carlo wheel 320mm. The combination of magnets and cherry switches gives you very satisfying positive click and feel. It feels really great. This unit is light weight. An option to use available paddles made by other suppliers is \’icing on the cake\’. Note that this is after market custom-made and cannot be compared to any other massively produces products. The cost is not cheap but not too expensive either. You get what you pay for. I am extremely happy with it. Thank you Carlos and to the team who made this brilliant unit! He adquirido este kit de botonera y levas, debo decir que las levas las escogí de Martín-ascher, y cuando lo recibí y monté, vi un aro de verdad!!! Profesional!!! Esa caja con los botones de click le dan un aspecto estupendo y sobre todo, la atención de Carlos en todo momento por si tenía algún problema a la hora de montarlo o configurarlo!!! No es solo la botonera que está estupenda!!! Sino la atención que tienen en que todo esté y funcione bien!!!! Un 10. Mientras espero que me llegue el OSW Augury gestionado por Carlos y Jesús, ayer recibí el kit de panel de levas y botones con aro GT. Anteriomente a este, he tenido equipo de Logitech, Thrustmaster (varios volantes incluido el versión alcántara de Ferrari) y de Fanatec. Estos últimos han sido de los de mayor calidad que he tenido, incluido un F1 black versión, un BMW y un GT con hub universal, siendo este último es de mayor calidad que he tenido ……….. hasta ahora. Nada mas coger volante de Carlos se nota la calidad en varios aspectos. 1º Peso. Se nota la rigidez del aro, lo que en volantes de menos potencia no importan tanto, pero con un OSW necesitarás un volante de alta resistencia o mejor dicho, de resistencia real. 2º Grosor y calidad de la piel vuelta. Para largas sesiones de simulación, es obligatorio unos guantes y un aro con piel vuelta, donde las sensaciones que transmita sea lo más reales posibles. 3º Levas. Dudaba si pedirlo con las de Martin Asher que también te da la opción Carlos, pero sólo es necesario por tema estético. Estas levas de \”serie\” que trae son una calidad indudable, y de un tacto perfecto a falta de una palabra mejor. El retorno y la ida es magnético, con lo que con el paso del tiempo no ira desgastándose los muelles por que no hay, como ocurre con las levas de otros fabricantes. 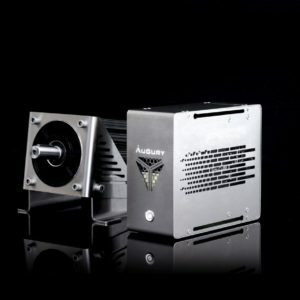 Sobre los micro switches no puedo decir nada hasta que pase el tiempo, pero Carlos me ha asegurado con una término nada electrónico que son \”pata negra\” de millones de ciclos, con lo que es una garantía. 4º Botones del aro. Por el click que producen y depués de haber tenido muchos, son de alta calidad, no quedando duda de cuando pulsas o no. Quizás, los hubiera puesto algo más cercanos a la posición de las manos, mas alejados del centro del aro, facilitando la manipulación en carrera, pero son la cantidad perfecta para las funciones que han de hacerse sin mover las manos del volante y de un tacto perfecto. 5º Acabado general. Si comprarais este aro en una tienda de competición, no dudaríais que puede pasar por volante comercial de producción mecánica, quizás es lo que más me ha gustado de todo, el conjunto en general, dando una impresión de terminación profesional que no he visto en mucho tiempo. Como sugerencia y dado que la placa de control lo permite, y sitio hay de sobra en el panel de botones, añadir 1 o 2 rotarys sólamente. Con esos 2 rotarys y los botones ya instalados sería \”EL\” volante perfecto. Muchas graicas Carlos como siempre, ahí ayudando y resolviendo las dudas! Lo tengo!!! Jajaja. 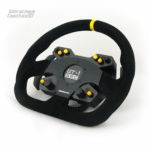 Mi open sim wheel ya tiene el complemento perfecto. Me ha llegado y la verdad que en directo gana mucho más que en web. Buena impresión, tacto de levas y botones muy bueno. En conjunto: panel compacto y de calidad. El acabado es acojonante. Gracias por la pegatina ( que irá a mi cockpit ) y el llavero. A probarlooo!!! Una atención al cliente muy buena, en cuanto a las levas y el volante de 330mm(omp todo redondo) me he quedado sin palabras al tenerlo en mis manos, un tacto increíble, el tacto de las levas muy cómodo. Ahora toca esperar a tener el motorcito OSW para poder estrenarlo! A esperar y a disfrutar mirando-lo de momento! Un kit muy bonito y de buena calidad. Se nota mucho la atención al mínimo detalle. Por ejemplo, los botones colocados en parejas se sienten con un tacto diferente, ideal para los que usen unos cascos de Realidad Virtual. Recomendable sin lugar a dudas. Un kit muy bien trabajado y una atencion impecable 10\10. Gracias Carlos! Un panel con ocho botones y levas magnéticas que son geniales. Un curro bastante bueno con un acabado impecable. Increíble panel de levas muy bien acabado, cumple a la perfección con lo que buscaba y a un buen precio, porque es un curro interesante. Las levas van muy bien, recomendable! 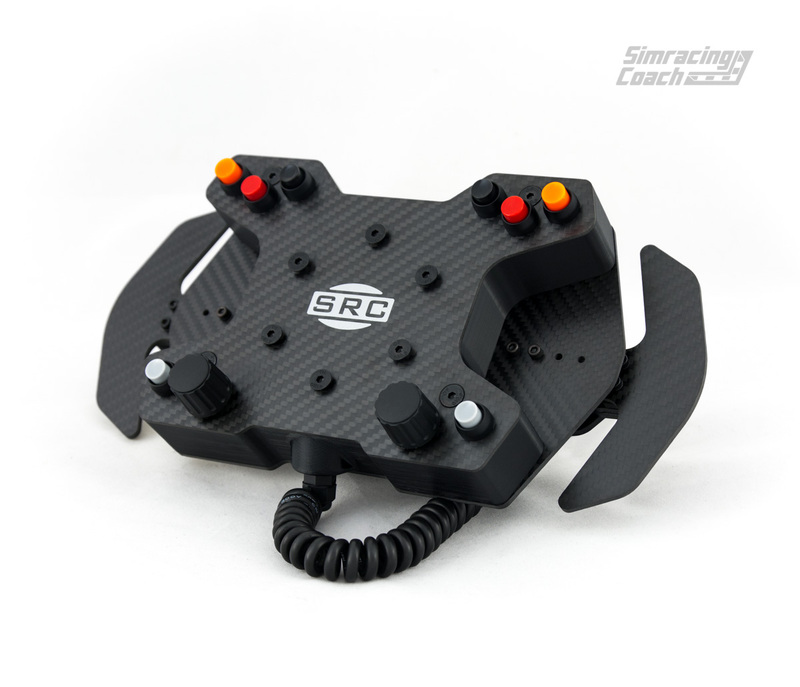 La atención de Carlos es como siempre impecable y te resolverá cualquier duda que tengas de esto y de prácticamente cualquier cosa del simracing! 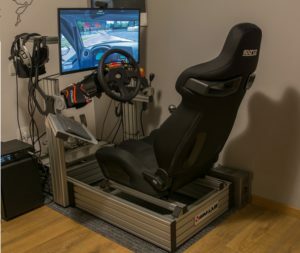 Fantástico kit, muy cómodo y buen acabado, lo recomiendo para el open sim wheel. Es el complemento necesario.